It used to be a problem hidden in the shadows of the deepest corners of hospitals, clinics and physicians’ minds. Few ever spoke about it, even though nearly everyone knew it existed. But that all changed in December 2015 when the Mayo Clinic released a study that shined a light so bright directly into the eyes of the issue that the healthcare industry finally had to admit that physician burnout was an insidious and serious problem that could no longer be ignored. The mainstream and industry media covered the story by sharing personal stories of physician burnout that were as gut-wrenching as they were concerning. Tips and tricks for avoiding burnout became ubiquitous on the internet and at professional conferences. Government agencies addressed the issue. Then the tech industry got involved. As with most things in modern life, the big brains in Silicon Valley brought fresh perspectives to a pervasive problem–and delivered solutions that are as practical as they are wise. And yes, the solutions came in the form of apps. Some of the best apps for physicians facing burnout aim to lower stress. Others try to help you achieve better work-life balance. A few exist to focus your attention on your practice. Some are just silly fun. All can be effective if you give them a chance. By now, most physicians have heard about meditation as medicine, and most probably agree that it can play an important role in helping relieve stress. But accepting meditation’s efficacy and finding the time to meditate are two entirely different things. That’s why Insight Timer exists. With the swipe of your smartphone, the app provides you with instant access to guided meditation sessions of any length. It allows you to connect with other physicians from around the world who appreciate the power of meditation. And Insight Timer lets you write record notes after every session so the thoughts and ideas that come from the clarity that meditation delivers will never be forgotten. Learn more about Insight Timer and download the app. Work-life balance isn’t something that is easily achieved, especially for physicians who are constantly pulled in different directions all day long. In the tug-of-war between what must be done and what you want to be done, the mandatory almost always overpowers the optional. But Lift is an app that helps you identify and make time for those life activities which you would like to do but often get pushed aside to make room for work–things such as exercising, yoga, writing, meditating, spending time with your family and spending time alone. You enter the activities and your schedule, Lift provides you with gentle reminders and positive reinforcement to encourage you to carve out time for yourself. It also tracks your progress, so you’ll always be able to see how balanced your life truly is. Learn more about why Lift is one of the best apps for physicians. If you are struggling with burnout, an app created by people who run a website called “The Happy MD” might seem like salt in the wound. But take a little time to explore the Burnout Proof mobile app and you’re likely to find something useful. It includes more than a dozen videos, tons of tips, plenty of proven tools and guided audio designed to help you relax, focus and find that work-life balance that is often hiding somewhere in the shadows of your mind. Learn more and download the Burnout Proof app today. Did you enjoy this article? Subscribe to read more like it! There’s a lot to love about being a physician. The profession provides prestige, interesting work, handsome financial rewards and the opportunity to make a positive difference in the lives of patients. It can also be stressful. According to a 2016 article published by TIME, physicians often feel emotionally exhausted as a result of their work and rank among the top of the list of professionals most likely to experience burnout. The reasons for burnout vary, but a Mayo Clinic study concluded that many doctors feel subjugated and stifled by the changing face of the doctor-patient relationship. That is to say that physicians are seeing a lot less of their patients’ faces and more of their computer screens. The study concludes that the increase in busywork tied to managing and maintaining electronic medical records is a key reason physicians burnout. In addition, changes to the billing and documentation are forcing physicians to spend less time in the exam room and more time on administrative tasks. That’s not what most physicians thought they’d be doing when they invested 12 or more years to learning their profession. It also leaves many wondering how they can live a better life. The good news is that people care about physicians, who are absolutely essential to the country’s quality of life. That’s why some really smart people working to figure out how to live a better life. Be honest with yourself. Physicians aren’t known for admitting weakness. After all, people’s lives depend on their knowledge and decisions on a daily basis. That probably explains why so many physicians are so reluctant to admit they’re feeling burned out. The first step towards figuring out how to live a better life is to be honest about how you’re currently feeling. According to the Mayo Clinic study, which was conducted over three years and included nearly 7,000 physicians, 54 percent of those surveyed had at least one symptom of burnout. Those who acknowledged their symptoms were more likely to seek help. Seek help. It’s no secret that there is a stigma attached to using employee assistant programs–especially among physicians. But, the programs are there for a reason: they work. Resist the urge to normalize and rationalize the stress (and distress) you feel. Use the resources available to you to take action to find peace within yourself and create positive change in your work environment. Change the culture. It may not always seem like it, but physicians have a great deal of power within their organizations. If you see things that are contributing to physician burnout, bring them to the attention of the physician leaders and hospital administrators. There is a movement afoot to create cultures of well-being, and it’s being led by the Association of American Medical Colleges. Make the most of the momentum to change the work culture and you’ll be on your way to figuring out how to live a better life. Pay attention to the “Wellness Wheel.” An article on physician burnout published by the National Center for Biotechnology Information says that using a “Wellness Wheel” can be a powerful tool for physicians wondering how to live a better life. The wellness wheel refers to the six types of wellness: physical, intellectual, emotional, spiritual, social and occupational. The article’s authors suggest that physicians spend time every day reflecting on these six areas and whether or not each is “healthy.” If you find that your wellness wheel is out of balance, you have the power to address the roots of the problems. 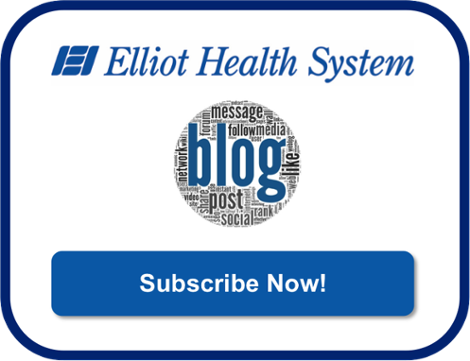 At Elliot Health System, we pride ourselves on our ability to help providers maintain a healthy work-life balance. If that is something you would like to achieve, apply today. Substance abuse is an insidious public health problem in the United States. It’s costs to society are measured in both billions of dollars and thousands of lives lost. It also directly affects physicians, who frequently find themselves on the front lines of the battle against drug and alcohol abuse. According to the National Institute on Drug Abuse, the health care costs of alcohol and illicit drugs totals more than $35 billion annually. The Centers for Medicare & Medicaid Services reports that more than 45,000 people die from drug overdoses each year and another 29,000 deaths are alcohol induced. Many of these people present to emergency departments and appointments while they are under the influence. Patients with substance abuse problems and are under the influence are particularly vexing for physicians. They raise questions related to informed consent, standards of care, and the safety and security of hospital staff as well as other patients. Patients who are under the influence have been known to spit, punch and kick physicians, nurses, staff and even other patients. They can be belligerent, noisy and difficult to assess. Their mere presence can elevate the stress level of everyone in the hospital or clinic. The first thing you should do when a patient appears to be under the influence is take steps to keep yourself, your staff and other patients safe. Because most healthcare professionals will rightfully feel obligated to try to at least assess the patient’s condition, steps should be taken to do this as safely as possible. Separating the patient may be an option. However, it may be necessary to call security or local law enforcement if the patient refuses to cooperate and continues to be disruptive. In cases where treating the patient is absolutely necessary, it may be appropriate to restrain the patient physically or with medication. Generally speaking, patients who are under the influence of drugs or alcohol should have their appointments rescheduled if their condition is stable. Rescheduling is not always an option, and should be the course of action only after an appropriate assessment has been completed. Rescheduling reduces your liability, helps protect your staff and ensures that any treatments are properly prescribed. It also provides an opportunity for you to educate the patient about the impact substance abuse has on their health–as well as your ability to provide care. Of course, if the patient is in the throes of an acute medical situation, you should follow the practices outlined in your organization’s standard of care policy. To determine whether or not an appointment can be rescheduled, it will be necessary to discuss the situation with your patient. Document the current situation and any history of substance abuse. Make sure to take into consideration the patient’s ability to provide accurate information. Discussing the situation with your patient and documenting the interaction will both help you determine the best course of action and protect yourself from future lawsuits or claims of malpractice. Be sure to include patient comments–even quotes–in your notes as well as advice, instructions and any non-compliance. Physicians have a duty to provide appropriate discharge instructions. In a case of a patient who is under the influence, these instructions should include addressing transportation needs. If you feel the patient should not drive home, it’s critically important to make this clear–and arrange an alternative form of transportation for the patient. Dealing with patients of all kinds can be very stressful, and that’s why Elliot Health System promotes a healthy work-life balance. Consider some of the options in this guide if you need to take some time for yourself. Earlier this year, the online news outlet for the American Medical Association published some startling, but not surprising, information: Work-related burnout among physicians is pervasive–and getting worse. According to a survey of nearly 7,000 physicians conducted by the AMA and the Mayo Clinic showed that an alarming 45 percent of physicians met the criteria for burnout in 2011. When a follow-up study was conducted last year, 54 percent of the physicians who responded showed at least one sign of burnout, which includes feeling exhausted, detached from patients, or cynical and stressed. What’s so startling about the study is that burnout among the “normal population” is only about 25 percent. This means physicians are nearly two times more likely to suffer from burnout than the people for whom they care. • Who cares for the caregivers? • What can be done to prevent physician burnout? Sometimes it can be difficult to escape the pressures of your practice, but making time for outside endeavors is incredibly important to preventing physician burnout. Your hobbies allow you to decompress and think about something other than patient care. If you don’t take time for yourself, the cumulative effect of increased work hours could lead to mental and even physical problems–and burnout. Sometimes it is necessary to put your own needs before those of the patient. So read, exercise, go fishing and reconnect with your hobbies. Physicians are trained to help people during their worst moments. Physicians must, on some level, remain detached in order to help patients achieve the best possible outcomes. However, physicians are also human. You’re not immune to the emotional challenges associated with difficult and complex cases. That’s why it’s important for you to develop a support system comprised of people you respect, people with whom you can debrief cases, discuss emotional experiences and decompress. Having people in your life with whom you can discuss the emotional aspects of the profession is an effective way to manage stress and identify the signs of physician burnout before they become acute. Today’s physicians are incredibly overworked. Waiting rooms are typically full and insurance companies seem to increasingly value quantity over quality when it comes to patient contacts. However, most practices have times of the year when there are lulls. Take time off during these periods. Getting out of the office when possible–rather than being “trapped” with a light schedule–provides opportunities to re-charge your batteries. It’s likely that you have talked to your patients about the importance of exercise. Now it’s time to listen to your own advice–and do it for all the reasons you share with patients. Do it for the endorphins! Do it for the improved sleep! Do it for the reduced stress and anxiety! But most importantly, do it for yourself and to prevent physician burnout. Sometimes solving the burnout issue can be as easy as finding the right tools to make your day run smoothly. If that sounds like something that would help make your day more productive, consider downloading our free Physician Resources Sheet below.